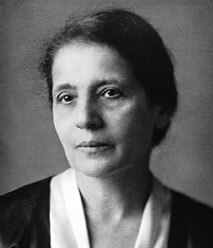 Lise Meitner, (born Nov. 7, 1878, Vienna—died Oct. 27, 1968, Cambridge, Cambridgeshire, Eng. ), Austrian-born physicist who shared the Enrico Fermi Award (1966) with the chemists Otto Hahn and Fritz Strassmann for their joint research that led to the discovery of uranium fission. After receiving her doctorate at the University of Vienna (1906), Meitner attended Max Planck’s lectures at Berlin in 1907 and joined Hahn in research on radioactivity. During three decades of association, she and Hahn were among the first to isolate the isotope protactinium-231 (which they called protactinium), studied nuclear isomerism and beta decay, and in the 1930s (along with Strassmann) investigated the products of neutron bombardment of uranium. Because she was Jewish, she left Nazi Germany in the summer of 1938 to settle in Sweden. After Hahn and Strassmann had demonstrated that barium appears in neutron-bombarded uranium, Meitner, with her nephew Otto Frisch, elucidated the physical characteristics of this division and in January 1939 proposed the term fission for the process. She retired to England in 1960. Henrik Dam, in full Carl Peter Henrik Dam, (born Feb. 21, 1895, Copenhagen, Den.—died April 1976, Copenhagen), Danish biochemist who, with Edward A. Doisy, was awarded the Nobel Prize for Physiology or Medicine in 1943 for research into antihemorrhagic substances and the discovery of vitamin K (1939). Dam, a graduate of the Polytechnic Institute of Copenhagen (1920), taught in the School of Agriculture and Veterinary Medicine there and later at the Physiological Laboratory of the University of Copenhagen. He went to the United States in 1940, lecturing and continuing his research, mainly at the University of Rochester, N.Y. In 1946 he returned to the Polytechnic Institute. Dam and his associates demonstrated (1929–34) a deficiency disease of chicks characterized by a tendency to bleed and an increased blood-clotting time. He ascribed the disease to lack of an antihemorrhagic vitamin, which he later showed to be fat-soluble and present in green leaves. He named it vitamin K (Koagulations-Vitamin). In 1939 both he and Doisy, working independently, isolated the vitamin from alfalfa. Francis Crick, in full Francis Harry Compton Crick, (born June 8, 1916, Northampton, Northamptonshire, England—died July 28, 2004, San Diego, California, U.S.), British biophysicist, who, with James Watson and Maurice Wilkins, received the 1962 Nobel Prize for Physiology or Medicine for their determination of the molecular structure of deoxyribonucleic acid (DNA), the chemical substance ultimately responsible for hereditary control of life functions. This accomplishment became a cornerstone of genetics and was widely regarded as one of the most important discoveries of 20th-century biology. During World War II, Crick interrupted his education to work as a physicist in the development of magnetic mines for use in naval warfare, but afterward he turned to biology at the Strangeways Research Laboratory, University of Cambridge (1947). Interested in pioneering efforts to determine the three-dimensional structures of large molecules found in living organisms, he transferred to the university’s Medical Research Council Unit at the Cavendish Laboratories in 1949. In 1951, when the American biologist James Watson arrived at the laboratory, it was known that the mysterious nucleic acids, especially DNA, played a central role in the hereditary determination of the structure and function of each cell. Watson convinced Crick that knowledge of DNA’s three-dimensional structure would make its hereditary role apparent. Using the X-ray diffraction studies of DNA done by Wilkins and X-ray diffraction pictures produced by Rosalind Franklin, Watson and Crick were able to construct a molecular model consistent with the known physical and chemical properties of DNA. The model consisted of two intertwined helical (spiral) strands of sugar-phosphate, bridged horizontally by flat organic bases. Watson and Crick theorized that if the strands were separated, each would serve as a template (pattern) for the formation, from small molecules in the cell, of a new sister strand identical to its former partner. This copying process explained replication of the gene and, eventually, the chromosome, known to occur in dividing cells. Their model also indicated that the sequence of bases along the DNA molecule spells some kind of code “read” by a cellular mechanism that translates it into the specific proteins responsible for a cell’s particular structure and function. By 1961 Crick had evidence to show that each group of three bases (a codon) on a single DNA strand designates the position of a specific amino acid on the backbone of a protein molecule. He also helped to determine which codons code for each of the 20 amino acids normally found in protein and thus helped clarify the way in which the cell eventually uses the DNA “message” to build proteins. From 1977 until his death, Crick held the position of distinguished professor at the Salk Institute for Biological Studies in San Diego, California, where he conducted research on the neurological basis of consciousness. His book 'Of Molecules and Men' (1966) discusses the implications of the revolution in molecular biology. 'What Mad Pursuit: A Personal View of Scientific Discovery' was published in 1988. 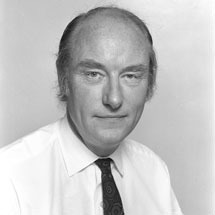 In 1991 Crick received the Order of Merit. R. Buckminster Fuller, in full Richard Buckminster Fuller, (born July 12, 1895, Milton, Massachusetts, U.S.—died July 1, 1983, Los Angeles, California), American engineer, architect, and futurist who developed the geodesic dome—the only large dome that can be set directly on the ground as a complete structure and the only practical kind of building that has no limiting dimensions (i.e., beyond which the structural strength must be insufficient). Among the most noteworthy geodesic domes is the United States pavilion for Expo 67 in Montreal. Also a poet and a philosopher, Fuller was noted for unorthodox ideas on global issues. Fuller was descended from a long line of New England Nonconformists, the most famous of whom was his great-aunt, Margaret Fuller, the critic, teacher, woman of letters and cofounder of The Dial, organ of the Transcendentalist movement. Fuller was twice expelled from Harvard University and never completed his formal education. He saw service in the U.S. Navy during World War I as commander of a crash-boat flotilla. In 1917 he married Anne Hewlett, daughter of James Monroe Hewlett, a well-known architect and muralist. Hewlett had invented a modular construction system using a compressed fibre block, and after the war Fuller and Hewlett formed a construction company that used this material (later known as Soundex, a Celotex product) in modules for house construction. In this operation Fuller himself supervised the erection of several hundred houses. The construction company encountered financial difficulties in 1927, and Fuller, a minority stockholder, was forced out. He found himself stranded in Chicago, without income, alienated, dismayed, confused. At this point in his life, Fuller resolved to devote his remaining years to a nonprofit search for design patterns that could maximize the social uses of the world’s energy resources and evolving industrial complex. The inventions, discoveries, and economic strategies that followed were interim factors related to that end. In 1927, in the course of the development of his comprehensive strategy, he invented and demonstrated a factory-assembled, air-deliverable house, later called the Dymaxion house, which had its own utilities. He designed in 1928, and manufactured in 1933, the first prototype of his three-wheeled omnidirectional vehicle, the Dymaxion car. This automobile, the first streamlined car, could cross open fields like a jeep, accelerate to 120 miles (190 km) per hour, make a 180-degree turn in its own length, carry 12 passengers, and average 28 miles per gallon (12 km per litre) of gasoline. In 1943, at the request of the industrialist Henry Kaiser, Fuller developed a new version of the Dymaxion car that was planned to be powered by three separate air-cooled engines, each coupled to its own wheel by a variable fluid drive. The projected 1943 Dymaxion, like its predecessor, was never commercially produced. Assuming that there is in nature a vectorial, or directionally oriented, system of forces that provides maximum strength with minimum structures, as is the case in the nested tetrahedron lattices of organic compounds and of metals, Fuller developed a vectorial system of geometry that he called “Energetic-Synergetic geometry.” The basic unit of this system is the tetrahedron (a pyramid shape with four sides, including the base), which, in combination with octahedrons (eight-sided shapes), forms the most economic space-filling structures. The architectural consequence of the use of this geometry by Fuller was the geodesic dome, a frame the total strength of which increases in logarithmic ratio to its size. Many thousands of geodesic domes have been erected in various parts of the world, the most publicized of which was the United States exhibition dome at Expo 67 in Montreal. One houses the tropical exhibit area of the Missouri Botanical Garden in St. Louis, Another, the Union Tank Car Company’s dome, was built in 1958 in Baton Rouge, Louisiana, and, at the time of its construction, was the largest clear-span structure in existence, 384 feet (117 metres) in diameter and 116 feet (35 metres) in height. Other inventions and developments by Fuller included a system of cartography that presents all the land areas of the world without significant distortion; die-stamped prefabricated bathrooms; tetrahedronal floating cities; underwater geodesic-domed farms; and expendable paper domes. Fuller did not regard himself as an inventor or an architect, however. All of his developments, in his view, were accidental or interim incidents in a strategy that aimed at a radical solution of world problems by finding the means to do more with less. Comprehensive and anticipatory design initiative alone, he held—exclusive of politics and political theory—can solve the problems of human shelter, nutrition, transportation, and pollution; and it can solve these with a fraction of the materials now inefficiently used. Moreover, energy, ever more available, directed by cumulative information stored in computers, is capable of synthesizing raw materials, of machining and packaging commodities, and of supplying the physical needs of the total global population. Fuller was a research professor at Southern Illinois University (Carbondale) from 1959 to 1968. In 1968 he was named university professor, in 1972 distinguished university professor, and in 1975 university professor emeritus. Queen Elizabeth II awarded Fuller the Royal Gold Medal for Architecture. He also received the 1968 Gold Medal Award of the National Institute of Arts and Letters. Fuller—architect, engineer, inventor, philosopher, author, cartographer, geometrician, futurist, teacher, and poet—established a reputation as one of the most original thinkers of the second half of the 20th century. He conceived of man as a passenger in a cosmic spaceship—a passenger whose only wealth consists in energy and information. Energy has two phases—associative (as atomic and molecule structures) and dissociative (as radiation)—and, according to the first law of thermodynamics, the energy of the universe cannot be decreased. Information, on the other hand, is negatively entropic; as knowledge, technology, “know-how,” it constantly increases. Research engenders research, and each technological advance multiplies the productive wealth of the world community. Consequently, “Spaceship Earth” is a regenerative system whose energy is progressively turned to human advantage and whose wealth increases by geometric increments. Fuller’s book Nine Chains to the Moon (1938) is an outline of his general technological strategy for maximizing the social applications of energy resources. He further developed this and other themes in such works as No More Secondhand God (1962), Utopia or Oblivion (1969), Operating Manual for Spaceship Earth (1969), Earth, Inc. (1973), and Critical Path (1981). 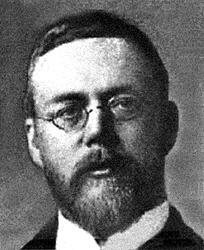 Reginald Aubrey Fessenden, (born October 6, 1866, Milton, Canada East [now Quebec], Canada—died July 22, 1932, Hamilton, Bermuda), Canadian radio pioneer who on Christmas Eve in 1906 broadcast the first program of music and voice ever transmitted over long distances. The son of an Anglican minister, Fessenden studied at Trinity College School in Port Hope, Ontario, and at Bishop’s College in Lennoxville, Quebec (where he taught in addition to studying). Before completing his degree, he took a job as principal of the Whitney Institute, a then recently established school in Bermuda. There he met Helen Trott, who would later become his wife, and developed an interest in science that led him to resign his teaching post and go to New York City. In 1886 he began working as a tester at the Edison Machine Works. He met Thomas Edison and in 1887 went to work at the new Edison Laboratory in West Orange, New Jersey, where he became chief chemist. In 1890 he was laid off from the Edison Laboratory and went to work for the Westinghouse Electric Company in Newark, New Jersey. In 1891 he transferred to the Stanley Company, a small electric company in Pittsfield, Massachusetts. 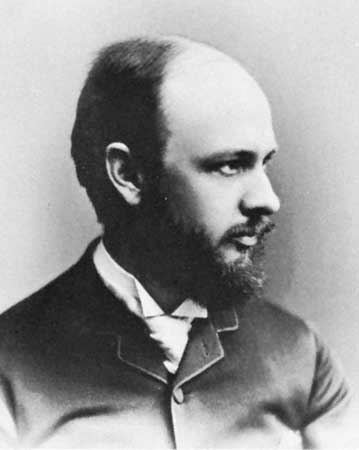 In 1892 that company folded, and Fessenden turned to an academic career as professor of electrical engineering, first at Purdue University, West Lafayette, Indiana, and then at the Western University of Pennsylvania (now the University of Pittsburgh), where he received funding from the Westinghouse company and worked on the problem of wireless communication. 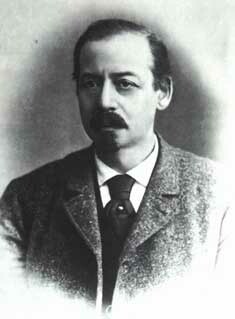 In 1900 Fessenden left the university to conduct experiments in wireless telegraphy for the U.S. Weather Bureau, which wanted to adapt radiotelegraphy to weather forecasting. Impatient with the simple on-off transmission of Morse Code signals, he became interested in transmitting continuous sound, particularly that of the human voice. He developed the idea of superimposing an electric signal, oscillating at the frequencies of sound waves, upon a radio wave of constant frequency, so as to modulate the amplitude of the radio wave into the shape of the sound wave. (This is the principle of amplitude modulation, or AM.) The receiver of this combined wave would separate the modulating signal from the carrier wave and reproduce the sound for the listener. On December 23, 1900, on Cobb Island in the Potomac River in Maryland, Fessenden succeeded in transmitting a brief, intelligible voice message between two stations located about 1 mile (1.6 km) apart. Fessenden invented and patented a number of components useful for “radiotelephony” (as wireless transmission of speech was called in those days), including an electrolytic detector sensitive enough to pick up continuous radio waves. Fessenden further contributed to the development of radio by demonstrating the heterodyne principle of converting low-frequency sound signals to high-frequency wireless signals that would be more easily controlled and amplified before the original low-frequency signal was recovered by the receiver. This was the forerunner of the principle of superheterodyne reception, which made easy tuning of radio signals possible and was a critical factor for the later growth of commercial broadcasting. In 1902 Fessenden joined two Pittsburgh financiers in organizing the National Electric Signaling Company to manufacture his inventions, which they intended to sell to customers such as the U.S. Navy or shipping companies whose far-flung operations would benefit from wireless telegraph communication. The company was also interested in competing with Guglielmo Marconi in transmitting across the Atlantic Ocean. To this end Fessenden built a station at Brant Rock, Massachusetts, and another at Machrihanish, Scotland, some 3,000 miles (5,000 km) away. He directed Ernst Alexanderson of the General Electric Company in building a 50,000-hertz alternator that could be used as a long-distance high-frequency radio transmitter. In January 1906 Fessenden established transatlantic wireless telegraphic communication between Brant Rock and Machrihanish, though the service was variable and unreliable. Later that year he received word from Machrihanish that the Scottish station had picked up voices that were being transmitted between the Brant Rock station and another station in nearby Plymouth, Massachusetts. Before Fessenden could explore direct transatlantic voice communication, the receiving tower at Machrihanish was wrecked by a storm. Determined to demonstrate the capabilities of his system, he sent notice to the company’s wireless telegraph customers in America to tune in to the company’s frequency on Christmas Eve. Starting at 9:00 PM on December 24, wireless operators as far away as Norfolk, Virginia, were startled to hear speech and music from Brant Rock through their own receivers. Fessenden read verses from the Gospel According to Luke, played an Edison phonograph recording of Handel’s “Largo” aria, gave a violin solo, and ended the broadcast by wishing his listeners a Merry Christmas. A New Year’s Eve show, similar in content to the first, was picked up by banana boats of the United Fruit Company in the West Indies. Fessenden probably ended his broadcasts with these two shows, as he intended them to be solely for publicity. Differences with his partners over the conduct of business led Fessenden to leave Brant Rock in 1911 and sue his former company. Abandoning work in radio, Fessenden went on to work in marine power and signaling. He has been credited with inventing a sonic depth finder, submarine signaling devices, and a turboelectric drive for battleships. In the 1920s he engaged in a long lawsuit against a group of companies that included the Radio Corporation of America, which had purchased patents from the defunct National Electric Signaling Company. With the proceeds from the settlement of that suit in 1928, Fessenden and his wife restored and moved into a historic seaside house in her native Bermuda. Thomas Newcomen, (baptized Feb. 28, 1664, Dartmouth, Devon, Eng.—died Aug. 5, 1729, London), British engineer and inventor of the atmospheric steam engine, a precursor of James Watt’s engine. As an ironmonger at Dartmouth, Newcomen became aware of the high cost of using the power of horses to pump water out of the Cornish tin mines. With his assistant John Calley (or Cawley), a plumber, he experimented for more than 10 years with a steam pump. It was superior to the crude pump of Thomas Savery. In Newcomen’s engine the intensity of pressure was not limited by the pressure of the steam. Instead, atmospheric pressure pushed the piston down after the condensation of steam had created a vacuum in the cylinder. As Savery had obtained a broad patent for his pump in 1698, Newcomen could not patent his engine. Therefore, he entered into partnership with Savery. The first recorded Newcomen engine was erected near Dudley Castle, Staffordshire, in 1712. Newcomen invented the internal-condensing jet for obtaining a vacuum in the cylinder and an automatic valve gear. By using steam at atmospheric pressure, he kept within the working limits of his materials. For a number of years, Newcomen’s engine was used in the draining of mines and in raising water to power waterwheels. Carlo Urbani, Italian epidemiologist (born Oct. 19, 1956, Castelplanio, Italy—died March 29, 2003, Bangkok, Thai. ), recognized that the SARS (severe acute respiratory syndrome) outbreak was an epidemic and raised the alarm, allowing the disease to be somewhat contained, before dying himself of SARS. Urbani began working in Africa as soon as he got his medical degree, and he became an expert in parasitic diseases. In the 1990s he undertook a number of missions in Africa for the World Health Organization (WHO) on controlling disease caused by parasitic worms. Doctors Without Borders hired him for work in Cambodia, where he made important advances in the control of parasitic worms. 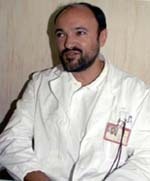 In 1999 he was made president of the Italian chapter of Doctors Without Borders. In 2000 WHO made him director of infectious diseases for the Western Pacific Region, based in Hanoi. In February 2003 Urbani was called to the Vietnam-France Hospital in Hanoi when an American who had arrived from Hong Kong was hospitalized with atypical pneumonia. Urbani quickly recognized the highly contagious nature of the disease, instituted strenuous anti-infection measures, and called in the health authorities. By mid-March the hospital had been quarantined. Urbani was credited with shutting down the disease in Vietnam, and his action led to WHO’s worldwide alert. Urbani had just arrived in Bangkok for a conference when he realized that he had contracted SARS. William Henry Pickering, (born Feb. 15, 1858, Boston—died Jan. 17, 1938, Mandeville, Jam. ), U.S. astronomer who discovered Phoebe, the ninth satellite of Saturn. In 1891 Pickering joined his brother Edward in establishing the Boyden station of the Harvard Observatory at Arequipa, Peru. He returned to the United States in 1893 and the next year erected the observatory and telescope at Flagstaff, Ariz., for the noted U.S. astronomer Percival Lowell. In 1900 he established a station for the Harvard Observatory at Mandeville. He discovered Phoebe in 1899 and noted that it revolves around Saturn in the opposite direction (retrograde) from that of Saturn’s other satellites. His announcement in 1905 of a 10th satellite, which he named Themis, is generally discounted, for it was never observed again. The 10th satellite (Janus) that was discovered in 1967 is probably not the same one, for its orbit is the innermost of all Saturn’s moons, whereas Pickering’s Themis was supposed to lie between Titan and Hyperion. In 1919 Pickering also predicted the existence of, and gave a position for, an object orbiting beyond Neptune. This work contributed to the discovery of Pluto. Talbot’s 'The Pencil of Nature' (1844–46), published in six installments, was the first book with photographic illustrations. Its 24 (of a proposed 50) plates document the beginnings of photography primarily through studies of art objects and architecture. 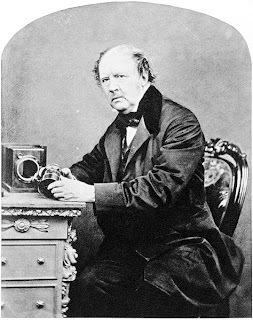 In 1851 Talbot discovered a way of taking instantaneous photographs, and his “photolyphic engraving” (patented in 1852 and 1858), a method of using printable steel plates and muslin screens to achieve quality middle tones of photographs on printing plates, was the precursor to the development in the 1880s of the more successful halftone plates. 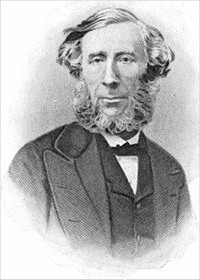 John Tyndall, (born August 2, 1820, Leighlinbridge, County Carlow, Ireland—died December 4, 1893, Hindhead, Surrey, England), Irish experimental physicist who, during his long residence in England, was an avid promoter of science in the Victorian era. Tyndall was born into a poor Protestant Irish family. After a thorough basic education he worked as a surveyor in Ireland and England (1839–47). When his ambitions turned from engineering to science, Tyndall spent his savings on gaining a Ph.D. from the University of Marburg, Germany (1848–50), but then struggled to find employment. In 1853 Tyndall was appointed professor of natural philosophy at the Royal Institution, London. There he became a friend of the much-admired physicist and chemist Michael Faraday, entertained and instructed fashionable audiences with brilliant lecture demonstrations (rivaling the biologist T.H. Huxley in his popular reputation), and pursued his research. An outstanding experimenter, particularly in atmospheric physics, Tyndall examined the transmission of both radiant heat and light through various gases and vapours. He discovered that water vapour and carbon dioxide absorb much more radiant heat than the gases of the atmosphere and argued the consequent importance of those gases in moderating Earth’s climate—that is, in the natural greenhouse effect. Tyndall also studied the diffusion of light by large molecules and dust, known as the Tyndall effect, and he performed experiments demonstrating that the sky’s blue colour results from the scattering of the Sun’s rays by molecules in the atmosphere. Tyndall was passionate and sensitive, quick to feel personal slights and to defend underdogs. Physically tough, he was a daring mountaineer. His greatest fame came from his activities as an advocate and interpreter of science. Tyndall, in collaboration with his scientific friends in the small, private X Club, urged greater recognition of both the intellectual authority and practical benefits of science. He was accused of materialism and atheism after his presidential address at the 1874 meeting of the British Association for the Advancement of Science, when he claimed that cosmological theory belonged to science rather than theology and that matter had the power within itself to produce life. In the ensuing notoriety over this “Belfast Address,” Tyndall’s allusions to the limitations of science and to mysteries beyond human understanding were overlooked. Tyndall engaged in a number of other controversies—for example, over spontaneous generation, the efficacy of prayer, and Home Rule for Ireland. Juan de la Cierva, in full Juan de la Cierva Codorniu, (born September 21, 1895, Murcia, Spain—died December 19, 1936, London, England), Spanish aeronautical engineer who invented the autogiro, an aircraft in which lift is provided by a freely rotating rotor and which served as the forerunner of the helicopter. Although trained as a civil engineer, Cierva became interested in aviation early in his youth. Between 1912 and 1919 he designed and built gliders and airplanes. The crash of his trimotor plane in 1919 led him to develop the autogiro as a more stable form of aircraft. In 1923 at Getafe, Spain, he made his first successful flight in an autogiro, and in 1925 he went to England to continue his work. Cierva-type autogiros were used widely in France, Germany, Japan, and the United States prior to World War II, when they were supplanted by helicopters. Cierva was killed in an airliner crash at the Croydon aerodrome, near London. Melville Reuben Bissell, (born Sept. 25, 1843, Hartwick, N.Y., U.S.—died March 15, 1889, Grand Rapids, Mich.), U.S. inventor of the carpet sweeper. After growing up in Berlin, Wis., Bissell joined his father in business at Kalamazoo, Mich., where they opened a grocery store. 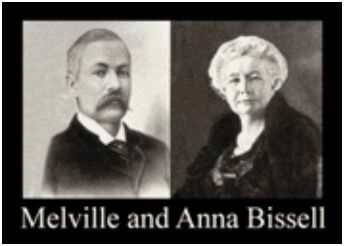 Selling crockery led the younger Bissell into the crockery business in Grand Rapids, where, by the time of the economic panic of 1873, he had made a fortune in industry and real estate. With business temporarily at a standstill, he turned his attention to the carpet sweeper and its large potential market. He soon patented (1876) a device with a central bearing brush; his device was made thoroughly practical by the addition of rubber tires and other improvements. Despite a disastrous fire (1884) in his first factory, he headed a highly successful business with worldwide production and marketing facilities. Charles Kao, in full Charles Kuen Kao, Pinyin Gao Kun, (born November 4, 1933, Shanghai, China), physicist who was awarded the Nobel Prize for Physics in 2009 for his discovery of how light can be transmitted through fibre-optic cables. He shared the prize with physicists Willard Boyle and George E. Smith, who won for their work in inventing the charge-coupled device (CCD). Kao held dual citizenship in Great Britain and the United States. Kao received a bachelor’s degree in electrical engineering from the University of London in 1957. That same year he went to work for Standard Telephones and Cables, a British subsidiary of the American telecommunications company ITT. In 1960 he transferred to ITT’s Standard Telecommunication Laboratories in Harlow, England. Kao received a doctorate in electrical engineering from the University of London in 1965. In 1966 he and British engineer George Hockham proposed that fibres made of ultra-pure glass could transmit light for distances of kilometres without a total loss of signal. In 1970 the first practical fibre-optic cable was successfully produced, and by the end of the 20th century much of the world’s telecommunications was travelling through fibre-optic cable. In 1970 Kao left ITT to spend four years at the Chinese University of Hong Kong. In 1974 he rejoined ITT as chief scientist of its electro-optical products division in Roanoke, Virginia. He later became ITT’s director of engineering in that division, and from 1983 to 1987 he was executive scientist and director of research at the ITT Advanced Tech Center in Shelton, Connecticut. From 1987 to 1996 he was vice-chancellor and president at the Chinese University of Hong Kong. Kao then became chairman and chief executive officer (1996–2001) of Transtech, a Hong Kong fibre-optic company, and in 2000 he became chairman and chief executive officer of ITX Services, a technology transfer company. Kao was diagnosed with Alzheimer disease, a degenerative brain disorder, in 2004. He and his wife, Gwen Kao, founded the Charles K. Kao Foundation for Alzheimer’s Disease Limited in 2010 to promote awareness about and care for those with the disease in Hong Kong. Richard March Hoe, (born Sept. 12, 1812, New York, N.Y., U.S.—died June 7, 1886, Florence, Italy), American inventor who developed and manufactured the first successful rotary printing press. He was the son of Robert Hoe (1784–1833), an English-born American mechanic, who, with his brothers-in-law Peter and Matthew Smith, established a factory for the production of printing presses in New York City. Richard entered R. Hoe and Company in 1827 and on his father’s death became head of the firm. Like his father, he had considerable inventive genius and made continual improvements in contemporary cylinder presses to increase the speed, quantity, and quality of output. The application of his ideas revolutionized printing processes. He discarded the old flatbed press, placing the type on a revolving cylinder, a model eventually developed into the Hoe rotary, or “lightning,” press, patented in 1847. First used by the Philadelphia Public Ledger in 1847, it produced 8,000 sheets per hour printed on one side. It was further improved under the name of the Hoe web perfecting press, which was first used by the 'New York Tribune' and produced 18,000 sheets an hour, printed on both sides. Hoe’s press enabled publishers to satisfy the increasing demand for newspapers. Jack Nicklaus, in full Jack William Nicklaus, byname the Golden Bear, (born January 21, 1940, Columbus, Ohio, U.S.), American professional golfer, a dominating figure in world golf from the 1960s to the ’80s. While a student at Ohio State University, Nicklaus won the U.S. Amateur Championship in 1959 and again in 1961. Also in 1961 Nicklaus set a scoring record of 282 for an amateur in the U.S. Open. After he turned professional in 1962, Nicklaus won the Masters Tournament six times (1963, 1965, 1966, 1972, 1975, 1986), the U.S. Open four times (1962, 1967, 1972, 1980), the Professional Golfers’ Association of America (PGA) Championship five times (1963, 1971, 1973, 1975, 1980), and the British Open (Open Championship) three times (1966, 1970, 1978). His victories overseas included six Australian Open titles. Nicklaus was a member of the winning U.S. World Cup team six times (1963, 1964, 1966, 1967, 1971, 1973) and was a record three-time individual World Cup winner (1963, 1964, 1971). By 1986 he had played in 100 major championships, finishing in the top three 45 times. Nicklaus was named PGA Player of the Year five times (1967, 1972, 1973, 1975, 1976), and he was elected to the World Golf Hall of Fame in 1974. He joined the Senior PGA Tour (later renamed the Champions Tour) in 1990 and retired from tournament golf in 2005. His career totals include 73 PGA victories—a number exceeded only by Sam Snead and Tiger Woods—and a record 18 victories in the four major professional championships. In addition to possessing great natural ability and power, Nicklaus showed remarkable composure under the severest competitive pressure. Nicklaus designed several golf courses, including Muirfield Village Golf Course in Ohio, site of the Nicklaus-sponsored Memorial Tournament beginning in 1976. He also wrote several books, including 'Golf My Way' (1974; cowritten with Ken Bowden), 'Nicklaus by Design' (2002; cowritten with Chris Millard), and 'Jack Nicklaus: Memories and Mementos from Golf’s Golden Bear' (2007; cowritten with David Shedloski). 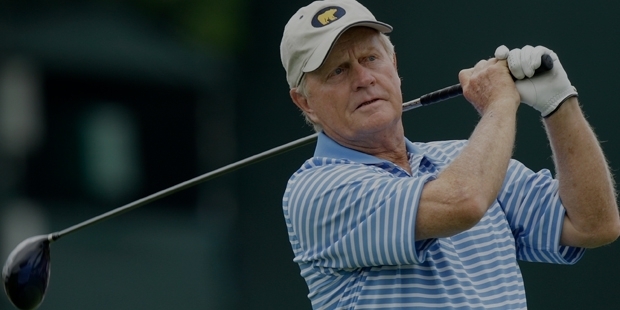 In 2005 Nicklaus was awarded the Presidential Medal of Freedom. Albert Szent-Györgyi, (born Sept. 16, 1893, Budapest, Hung., Austria-Hungary—died Oct. 22, 1986, Woods Hole, Mass., U.S.), Hungarian biochemist whose discoveries concerning the roles played by certain organic compounds, especially vitamin C, in the oxidation of nutrients by the cell brought him the 1937 Nobel Prize for Physiology or Medicine. Szent-Györgyi earned a medical degree from the University of Budapest in 1917. He became interested in biochemistry and pursued studies in Germany and the Netherlands in that field. While working at the University of Cambridge (1927, 1929) and at the Mayo Foundation, Rochester, Minn., U.S. (1928), Szent-Györgyi found and isolated an organic reducing agent, which he called hexuronic acid (now known as ascorbic acid), from plant juices and adrenal gland extracts. Four years later, as a professor at the University of Szeged, Hungary (1931–45), he helped prove that the acid is identical to the antiscurvy vitamin C, which had been discovered in 1907 by Axel Holst and Alfred Fröhlich. Szent-Györgyi then turned to the study of organic compounds known to play a part in the conversion of carbohydrate breakdown products to carbon dioxide, water, and other substances necessary for the production of usable energy by the cell. His work laid the foundations for Sir Hans Krebs’s elucidation of the complete conversion cycle (the Krebs cycle) two years later. Devoting himself to a study of the biochemistry of muscular action, he discovered a protein in muscle that he named “actin,” demonstrated that it—in combination with the muscle protein myosin—is responsible for muscular contraction, and showed that the compound adenosine triphosphate (ATP) is the immediate source of energy necessary for muscle contraction. Immigrating to the United States in 1947, he was immediately appointed director of the Institute for Muscle Research, Woods Hole, Mass., where he conducted research into the causes of cell division and, hence, cancer. Szent-Györgyi wrote 'The Crazy Ape' (1970), a critical and pessimistic commentary on science and the prospects for human survival on Earth. Among his scientific publications are 'On Oxidation, Fermentation, Vitamins, Health, and Disease' (1940), 'Chemical Physiology of Contractions in Body and Heart Muscle' (1953), and 'Introduction to a Submolecular Biology' (1960). 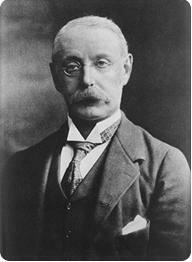 Sir Charles Algernon Parsons, (13 June 1854 – 11 February 1931), the son of a member of the Irish peerage, was an Anglo-Irish engineer, best known for his invention of the compound steam turbine, and as the namesake of C. A. Parsons and Company. He worked as an engineer on dynamo and turbine design, and power generation, with great influence on the naval and electrical engineering fields. He also developed optical equipment, for searchlights and telescopes. Thomas Savery, (born c. 1650, Shilstone, Devonshire, Eng.—died 1715, London), English engineer and inventor who built the first steam engine. A military engineer by profession, Savery was drawn in the 1690s to the difficult problem of pumping water out of coal mines. Using principles adduced by the French physicist Denis Papin and others, Savery patented (1698) a machine consisting of a closed vessel filled with water into which steam under pressure was introduced, forcing the water to a higher level; when the water was expelled, a sprinkler condensed the steam, producing a vacuum capable of drawing up more water through a valve below. To make the effect as nearly continuous as possible, Savery assembled two containing vessels in the same apparatus. An energetic advertising campaign brought him customers, and he manufactured a number of his engines not only for pumping out mines but also for supplying water to large buildings. Savery’s engine had many limitations, notably its weakness under high-pressure steam (above 8 to 10 atmospheres); a few years later, when Thomas Newcomen independently designed his atmospheric-pressure piston engine from another of Papin’s ideas, Savery, who held patent primacy, joined him in its development. Savery also had other inventions to his credit, including an odometer to measure the distances traveled by ships. Anton Schrötter von Kristelli (26 November 1802 – 15 April 1875) was an Austrian chemist and mineralogist born in Olomouc, Moravia. 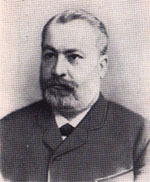 His son Leopold Schrötter Ritter von Kristelli (1837–1908) was a noted laryngologist. Anton's father was an apothecary. He initially studied medicine in Vienna at the request of his father, but switched to the natural sciences under the influence of Friedrich Mohs (1773–1839). In 1827 he became an assistant to mathematician Andreas von Ettingshausen (1796–1878) and to physicist Andreas von Baumgartner (1793–1865) at the University of Vienna. Three years later he was appointed professor of physics and chemistry at the Joanneum Technical Institute in Graz, and from 1843 served as a professor of technical chemistry at the Polytechnic Institute in Vienna. 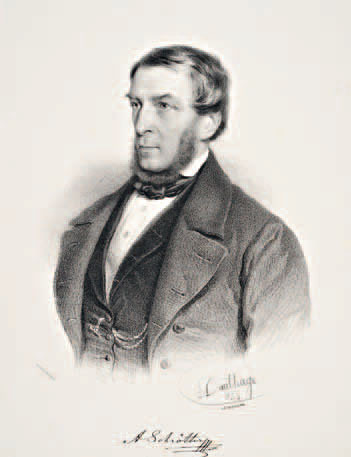 In 1845 he succeeded Paul Traugott Meissner (1778–1864) as chair of chemistry. In 1868 he was appointed Master of the Austrian State Mint (Münze Österreich). Declining health made him retire in 1874. As a chemist he conducted research involving reactions of metals with ammonia at higher temperatures, and performed investigations of substances such as amber, idrialite, ozokerite, asphalt and dopplerite. He also investigated the reactive behavior of potassium in liquid nitrous oxide, of phosphorus and antimony in liquid chlorine, and of iron towards oxygen at very low temperatures. In 1845 he discovered a process for preparing red phosphorus, a development which led to the invention of the safety match. He was a scientific consultant to the Novara Expedition (1857–59), as well as to the Austro-Hungarian North Pole Expedition. His name is associated with the Schrötterhorn of the Ortlergruppe in the Alps and "Cape Schrötter" on Franz Josef Land. With Ettingshausen, Baumgartner and Wilhelm von Haidinger (1795–1871), he was a founding member of the Austrian Academy of Sciences, serving as its secretary from 1851 until his death. Since 1876, the Schröttergasse in the Favoriten district of Vienna has been named in his honor. Frederick William Lanchester, (born Oct. 23, 1868, London, Eng.—died March 8, 1946, Birmingham, Warwickshire), English automobile and aeronautics pioneer who built the first British automobile (1896). In 1891, after attending Hartley University College (now the University of Southampton) and the National School of Science, Lanchester went to work for a gas-engine works in Birmingham. During his employment at the firm he improved its products by designing a pendulum governor and a starter. After five years he left to set up his own automobile-manufacturing firm, producing his first car, a one-cylinder, five-horsepower model, in 1896. A second model, with two cylinders, and a third led to financial backing for the Lanchester Engine Company, which produced several hundred cars over the next few years. Among notable design features of his cars were a relative freedom from vibration, a graceful appearance with fewer of the knobs and levers that bristled in most driver’s compartments, and a luggage rack. Lanchester’s interest in aeronautics was first expressed in a paper he wrote in 1897, a work ahead of its time in appreciation of the principles of heavier-than-air flight. In 1907–08 he published a two-volume work embodying distinctly advanced aerodynamic ideas. As a member of the Advisory Committee on Aeronautics in 1909 and, later, as a consultant to the Daimler Motor Company, Ltd., he also contributed to the development of operations research. William P. Lear, (born June 26, 1902, Hannibal, Mo., U.S.—died May 14, 1978, Reno, Nev.), self-taught American electrical engineer and industrialist whose Lear Jet Corporation was the first mass-manufacturer of business jet aircraft in the world. Lear also developed the automobile radio, the eight-track stereo tape player for automobiles, and the miniature automatic pilot for aircraft. The child of immigrant parents and a broken home, Lear said that at the age of 12 he had worked out a blueprint of his life, based upon profiting by inventing what people wanted. He held some 150 patents at his death. After completing eighth grade, Lear quit school to become a mechanic and at the age of 16 joined the navy, lying about his age. During World War I, Lear studied radio and after his discharge designed the first practicable auto radio. Failing to secure the financial backing to produce the radio himself, Lear sold the radio to the Motorola Company in 1924. In 1934 he designed a universal radio amplifier (i.e., one that would work with any radio.) The Radio Corporation of America purchased the plans, giving Lear the capital he needed to expand his operations. He founded the Lear Avia Corporation in 1934 to make radio and navigational devices for aircraft. In 1939 he founded Lear, Inc. By 1939 more than half the private airplanes in the United States were using Lear radio and navigational equipment. In World War II, the company manufactured cowl-flap motors and other precision devices for Allied aircraft. After World War II, Lear, Inc. introduced a new, miniaturized autopilot that could be used on small fighter aircraft. Between 1950 and 1962 the sales of Lear, Inc., rose to $90,000,000. New plants were added in the Midwest and on both coasts, and the company embarked on the manufacture of stereophonic sound systems and miniature communications satellites. Lear himself wanted to expand into low-priced, small jet aircraft for businessmen. When his board of directors would not approve the expenditure, Lear sold his share of the company and formed Lear Jet, Inc., Wichita, Kan., which produced its first compact jet in 1963. The new company’s jets became among the world’s most popular private jet aircraft. Lear sold his interest in the corporation in 1967 and formed Lear Motors Corporation (1967–69) to produce a steam car. Clemens Alexander Winkler (December 26, 1838 – October 8, 1904) was a German chemist who discovered the element germanium in 1886, solidifying Dmitri Mendeleev's theory of periodicity. Winkler was born in 1838 in Freiberg, Kingdom of Saxony the son of a chemist who had studied under Berzelius. Winkler's early education was at schools in Freiberg, Dresden, and Chemnitz. In 1857 he entered the Freiberg University of Mining and Technology, where his knowledge of analytical chemistry surpassed what he was being taught there. Sixteen years later, Winkler was appointed a professor of chemical technology and analytical chemistry at the university. Winkler was elected a member of the Royal Swedish Academy of Sciences in 1892. In 1893, Winkler moved to Hamburg where he married his childhood sweetheart Tanja Braun. In 1902, Winkler resigned his professorship. He died in Dresden two years later of carcinoma at the age of 65. According to Brunck, Winkler wrote poetry, and according to McCay, Winkler's talents extended to playing several musical instruments. In 1886, Winkler was provided with a new mineral from the Himmelsfürst mine near Freiberg. The mineral, called argyrodite, was found by chemists to contain silver and sulfur. When Winkler subsequently analyzed the mineral, he found that the individual components only added up to about 93–94% of its total mass, leading him to suspect that a new and previously unknown element must be present. After additional chemical purification steps over several months, Winkler isolated the pure element, germanium, on February 6, 1886 and published his results. The mineral argyrodite that was Winkler's start toward finding germanium is now known to be a double sulfide with formula GeS2 · 4Ag2S. To place germanium into the periodic table, Mendeleev suggested that it might be ekacadmium, an element he had predicted earlier. In contrast, Lothar Meyer favored an identification of germanium with ekasilicon, a different predicted element. Winkler isolated more of the pure material, and eventually obtained enough to measure some of its physical and chemical properties. His results showed unequivocally that Meyer's interpretation was the correct one and that nearly all of the new element's properties matched Mendeleev predictions. The close match between what had been predicted for ekasilicon and what was found for germanium was clear evidence for the utility and power of the periodic table and the concept of periodicity. In addition to his isolation and study of germanium, Winkler investigated the analysis of gases. He published a book on the subject, Handbook of Technical Gas Analysis, in 1884. In that book Winkler describes his invention of the three-way stopcock. He predicted the existence of silicon monoxide, SiO, and was the first to attempt to produce it by heating silica with silicon in 1890. However, he was unsuccessful because he was not able to heat the mixture to a high enough temperature using a combustion furnace. As no reaction occurred for him, Winkler incorrectly concluded that SiO does not exist, even though it was reported to have formed from the reduction of silica with charcoal three years earlier by C. F. Maybery. However, Henry Noel Potter, a Westinghouse engineer, repeated Winkler's experiment fifteen years later with an electric furnace, which enabled him to increase the reaction temperature by several hundred degrees and observe the generation of SiO.